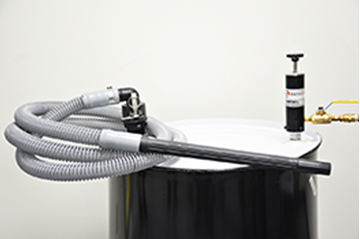 The Dual Force Vac System is a convenient and versatile solution for liquid material handling and spill clean up. Using powerful Transvector technology, the Dual Force Vac Drum Pump can either fill or discharge a 55 gallon drum in under two minutes. It switches easily -- with a 1/4 turn of a knob -- from fill to discharge mode. And the Dual Force Vac can handle viscous liquids and particulates. Quiet and safe, the Dual Force Vac is air-powered with no moving parts, meaning no motor burn out and no shock hazard. It quickly installs on a 55 gallon drum and comes with a 10 foot hose and nozzle. 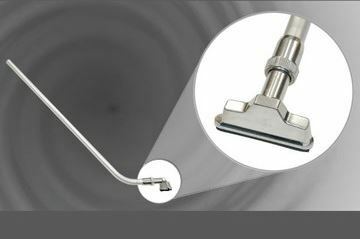 An optional aluminum wand and squeegee are available to facilitate spill pick up.